The end of the year and the time to rank my reads has arrived. It's always hard to choose favorites, but this year was difficult for a different reason. I feel like I've been in somewhat of a reading and blogging rut for the past year. While I've certainly read books that I loved, I feel like I have fewer that I'm raving about. Maybe with the passage of time I'll feel differently. I have a clear favorite for the year, but the other 9 are somewhat mixed. So, I'll list my #1 book for the year and the remaining nine are listed in no particular order. 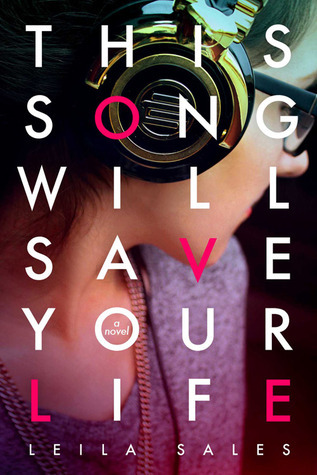 This Song Will Save Your Life is a serious contemporary novel. So serious that I sometimes felt like I was peeping at a train wreck and dreaded what was going to come next when I turned the page. This sounds like a bad thing, but really the book was beautiful. Beautiful in a depressing sort of way. Don't worry though, it does have an uplifting end. As an avowed sci fi hater, this is not a book I ever expected to read. My love obsession for Doctor Who this year has changed all that. 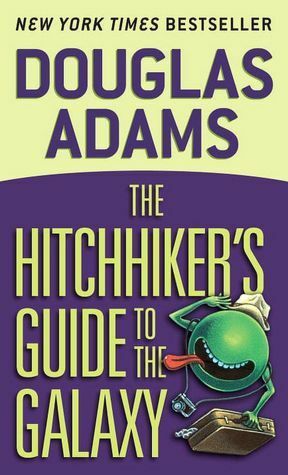 Douglas Adams wrote for classic Doctor Who and it shows in this book. You could easily replace Ford Prefect with the Doctor and the story would still make perfect sense. It's chock full of quotes and laugh out loud moments. 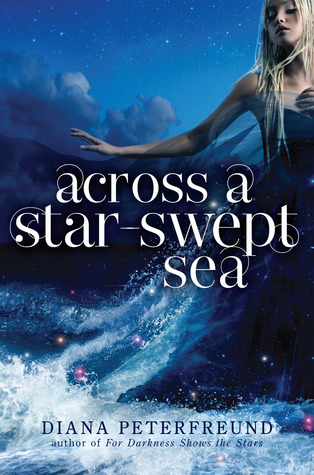 Across a Star-Swept Sea is based on the novel The Scarlet Pimpernel This immediately puts me on a positive footing with this book. I love The Scarlet Pimpernel (Have you ever seen the musical? It's as good or better than the book). Persis Blake is one of the best strong female protagonists in years. To say this book is well-written is an understatement. The characters are lovable, the story is engaging, it ties in to the first book while also standing on its own...I could go on. Rose is a plucky girl as an American pilot flying out of England. She is daring and gutsy, as any volunteer pilots in that day would be. But she also feels very young. She is forced to grow up very quickly when imprisoned in Ravensbruck. 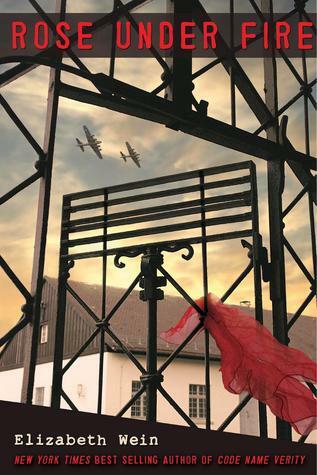 The heart of this book is about the relationships that Rose develops at Ravensbruck with a group of Polish political prisoners. They lived to help each other survive. They became closer than family. Rose Under Fire is a beautiful, touching, heart-rending novel. If it wasn't for Code Name Verity, I would have thought it was a perfect book. 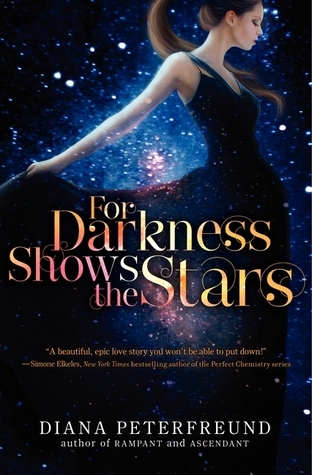 For Darkness Shows The Stars has that wonderful indefinable quality where everything just fits and feels wonderful. I came to appreciate the complexity of the world-building. It was vivid, fully-formed, and eventually made a lot of sense. Similarly Kai and Elliot were wonderful three dimensional, flawed but lovable characters. The side characters too had strong back-stories and fit into the plot well. I had some trouble getting into the book, but pretty quickly I was flying through the pages. 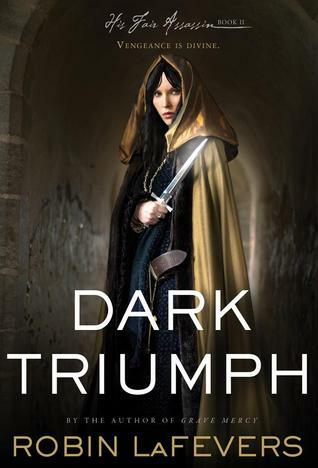 Dark Triumph is a strong second in the His Dark Assassins series. Sybella is a harsh character. Rather than being put off by her darkness, I grew to admire Sybella's strength and her practical nature. If you loved Grave Mercy, you'll love the passionate relationship that builds between Sybella and Beast, based on trust and respect. 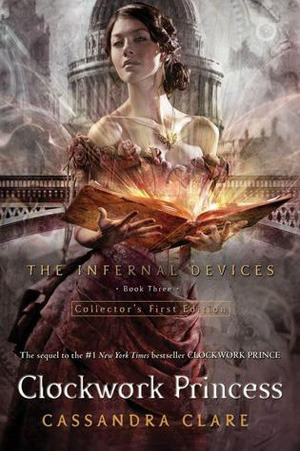 Clockwork Princess shows how Cassandra is capable of putting together a compelling story with a multitude of richly described, unforgettable characters. This book is the perfect ending to a well written trilogy. It features the best love triangle I've read, a slew of compelling characters (both main and side), passionate romance, and a fast flowing plot. Richelle Mead has a talent for delivering consistently satisfying, swoon worthy novels. Indigo Spell is no exception. Sydney moves further along the path towards independence from the Alchemists and love with Adrian - I'm not saying this as a spoiler. I think we all know that's what will eventually happen. Indigo Spell is the first of two Bloodlines books published in 2013. Fiery Heart came out in November. I loved both books, but I think I liked Indigo Spell a little better. 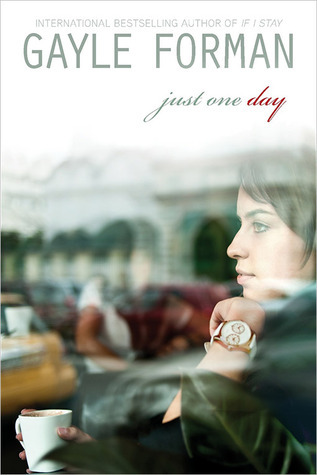 Just One Day is a book that will make you realize the importance of shaping your own destiny. How one even can be the catalyst for so much more. It is such a vivid, emotional story that you will forget it's fiction and will cheer, cry, mourn, and rejoice at every turn in Allyson's journey towards life. 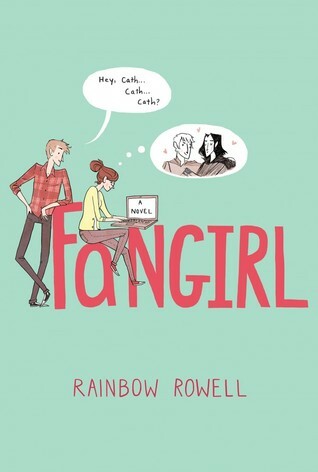 It seems like everyone and their sister listed a Rainbow Rowell book as their favorite for 2013. And I'm staying par for the course. Fangirl was incredible. It has "it," that intangible quality that takes a book from great to truly special. It's a wonderfully written, well-rounded look at a beautiful, damaged girl's life. There's a sweet romance with a lovable, three dimensional guy. There's an embrace of fan culture that so many of us are involved with. Fangirl really does have everything. This Song Will Save Your Life was definitely a standout for me, too, Alison. I didn't expect nearly as much depth, and I was honestly blown away. I also absolutely LOVED Not a Drop to Drink and Hate List this year - they really just nailed it on all accounts. YES!! To all of these!! (Except The Indigo Spell because I haven't yet read it.) I definitely agree about Fangirl, I think because I'm a fangirl myself. I need to read or rather buy All Of Our Yesterdays. This is a book I want on my shelf even though I have yet to read it. I just know I will like it. Great list!! 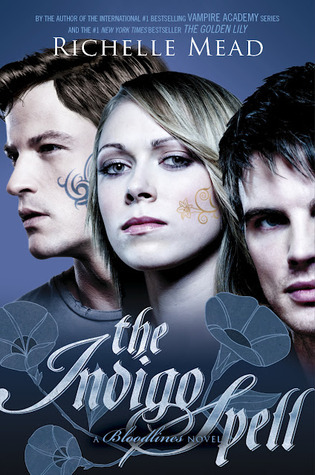 Indigo Spell, Just One Day and Fangirl made my list too! Yay! I'm so glad Clockwork Princess made your list. It made mine as well (although I didn't make one for the meme). It was my top read. Oh you have a few books on your list that I still have to read like "This Song Will Save Your Life" and YEEEAH for Fangirl. 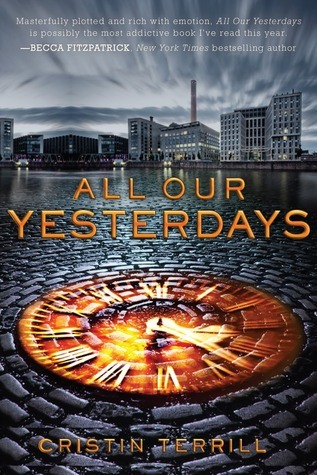 All Our Yesterdays is on my list too! :D Such an awesome, strong book. I think This Song Will Save Your Life and Fangirl would have been on my list, if I hadn't read so many other books this year. Too many good ones to choose from! The only one of these I've read is Clockwork Princess. And like you it made my list of the year. And while I haven't read the others, I am really hoping to get to Fangirl in 2014!